This is what is worth living for. I mean, there are many other things meaningful, but doing what you believe is true and good, well, that’s it. America needs young and real Americans like you Dayton! Guardate questa clip di presentazione: Dayton è un esempio di quel che l’America era è può continuare a essere. A dire il vero, è un esempio di quel che tutti potremmo essere. Grazie, Dayton! 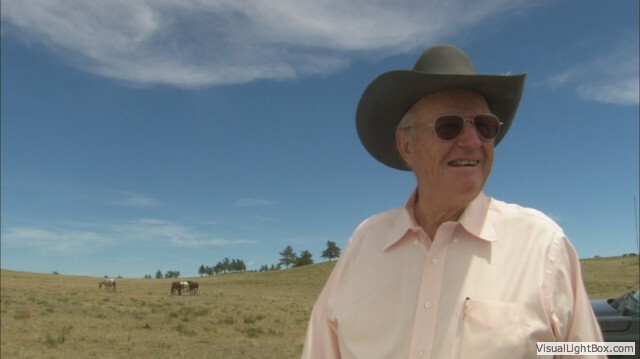 Dayton O. Hyde describes the 13,000 acres of land in South Dakota that is home to his Black Hills Wild Horse Sanctuary, along with the wild horses that live there, as “a national treasure.” Hyde himself, an 88-year-old cowboy conservationist, is as precious a national treasure, a hero fighting to the end to protect the land, the water and the wildlife of the American West. By Editor in English Translated, News, USA, Video on 05/10/2013 .